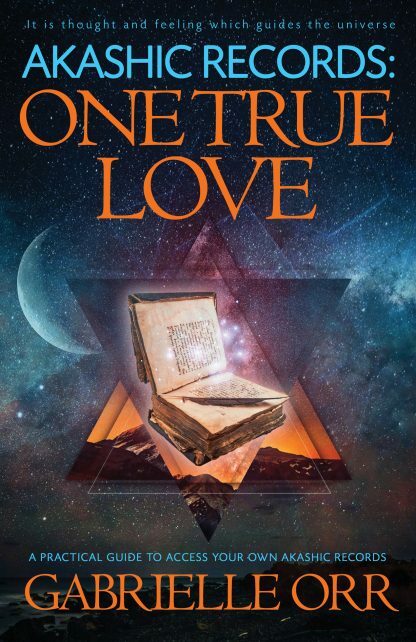 This book�s intention is to ignite and maintain the love within you and that you will find your true self in the process of working with the divine energy of the Akashic Records. Developing a connection to the Akashic Records requires both heart and spirit. I am going to use a common medium�language�to explain the process and the guidelines of connecting to this source. This is a workbook�a manual that will teach you everything you need to know in order to successfully access your Akashic Records. Please follow the guidelines and instructions carefully and in the given sequence so that you will receive the most benefit from this class. Gabrielle Orr has been personally and professionally connected to physical and spiritual healing throughout her life. Born in Germany, she underwent several surgeries very early in life due to a deformed hip. It was during these times that she had her very first conscious experience with her Akashic Records. In her native country, she worked with mentally and physically disabled children, teenagers and counseled their families. When she was in her early twenties, her husband had been faultlessly involved in a car accident, which resulted in a spinal cord injury between the C5 � C6 vertebrae. The couple�s strong belief in self-healing resulted in a level of mobility that was unheard of by the medical society. Eventually the medical research center for spinal cord injuries at the Jackson Memorial Hospital in Miami invited the young couple to the United States to partake in their research program. The prolonged visits to the US eventually lead to a permanent relocation to US. Since then Gabrielle has been relentlessly interested in all forms of healing and self-development on all levels and has facilitated thousands of Akashic Record readings over the past 25 years. Today her focus is mainly on teaching others how to connect to their own higher power in her workshops internationally.